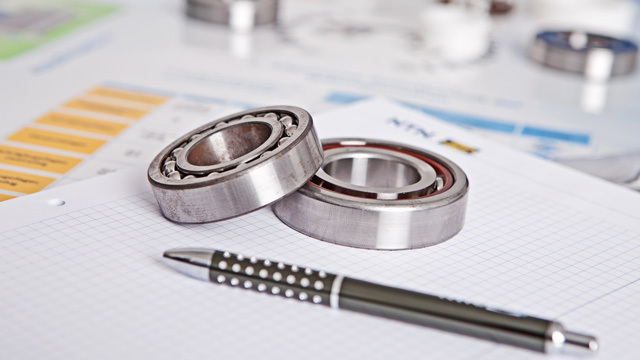 Improve the skills of your teams with our training modules dedicated to bearings. Discover the innovative teaching methods developed by NTN-SNR! Why choose the NTN-SNR training package? performance: the skills acquired during the training have a positive economic impact for your company through the reduction of your maintenance time, the optimisation of your designs and your stock. efficiency: our active and participant-based teaching methods make our training accessible to all trainees. accessibility: our training is conducted in 7 languages, either on-site or in one of our training centres. adaptability: our courses are tailored to the specific needs of students. certification: we organise an assessment quiz, which leads to a certificate at the end of the training. Who are our training courses in bearings intended for? NTN-SNR training modules are designed especially for distributors, buyers, suppliers, maintenance and engineering personnel, as well as students. All our training modules are customisable. We also organise on-site training. See also the other SERVICES offered by NTN-SNR: technical assistance, audit of assembly lines, analysis of bearing failures and aeronautical maintenance.